What impact will the refurbishment of the Westgate have on Oxford city centre? Oxford, the city of dreaming spires, world-class education and a £440m refurbished shopping centre comprising of 800,000 sq ft of retail space called the Westgate Oxford. Growing up, Oxford was my nearest city, and whilst the beautiful surroundings are certainly something to behold, the past few years have not enticed me into the city as frequently as it once had. The reason for this was the slightly average retail offering, coupled with difficult and expensive parking, it just didn’t seem worth it. However, just this week, on the 24th October, the newly refurbished Westgate Oxford (owned by JV Land Securities and Crown Estate) was opened which promises 125 shops, restaurants and leisure brands, alongside a boutique five screen Curzon cinema. The refurbishment began in spring 2015 and now its opening promises to create a whopping 3,500 jobs for the local community. According to the BBC, Oxford City Council said that it was confident the development would not harm other shops in the rest of the city. As Oxford is close to my heart, I took to LDC's location insight tool, LDO to take a look at some key insight on the city to decide for myself. Oxford already has some pretty impressive retail credentials. 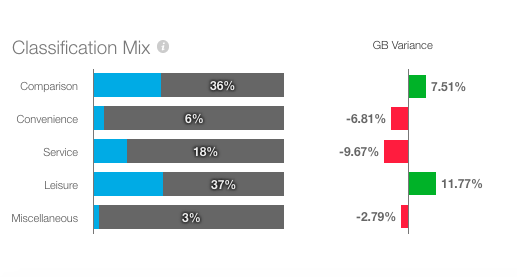 With a combined Retail and Leisure vacancy rate half that of the GB average at 5.7% (the GB Retail and Leisure Vacancy rate currently stands at 11.1%), the city is certainly looking healthy. Drilling down to look at the retail mix in the city using LDC’s location insight platform, I can see that the two store categories that are over represented in Oxford at the moment are Comparison Goods Retail (especially fashion and general clothing, chemists and health stores) and Leisure (bars, pubs and clubs), with Convenience Retail (supermarkets and food shops) and Service (beauty salons, estate agents, hairdressers) under represented. The under representation of Convenience Retail in the city centre could well be due to the fact that there are a couple of out-of-town Supermarkets roughly a five-minute drive out of the city centre. These being Waitrose (which opened October 2015) and Aldi that cater for both discount and more the premium food shopper. Cornmarket Street and High Street, which are two of the main retail thoroughfares in Oxford, currently (combined) have an LDC Health Index rating of 8, which is the second highest rating available and is based on 12 indices including vacancy, anchor retailers present, charity shops presence and cinema presence. What may come as a surprise is that Oxford has a very small percentage of independent retail, at just 42%, compared to the GB average of 65%. This suggests that Oxford is an attractive location for multiples to open their stores, who make the most of the high footfall down the high streets and the flourishing tourism that Oxford enjoys almost all year round. The previous iteration of the Westgate Oxford was a slightly tired centre that was certainly past its prime and with a fairly average (but not terrible) LDC Health Index of 6. With the refurbishment has come a raft of new retailers including & other stories, Oliver Bonas, Seasalt Cornwall, Smashbox, T2, Pink from Victoria’s Secret and many more accessible premium brands. Alongside these new retailers arrived a new anchor in the form of a new John Lewis store which will be open until 8pm each day (apart from Sunday) and offers three floors of fashion, beauty, home giftware and much more. Adding to the newly extended retail offer, a host of new leisure occupiers have also taken residence in the Westgate Oxford, some of which are already open for business and many more are opening over the next few weeks. Examples of these occupiers are: Pho, Pizza Pilgrims, The Breakfast Club, The Alchemist, Dirty Bones and Shawa, many of which have not had a presence in the city until now. What will the impact be of the refurbishment be on the rest of the city centre? 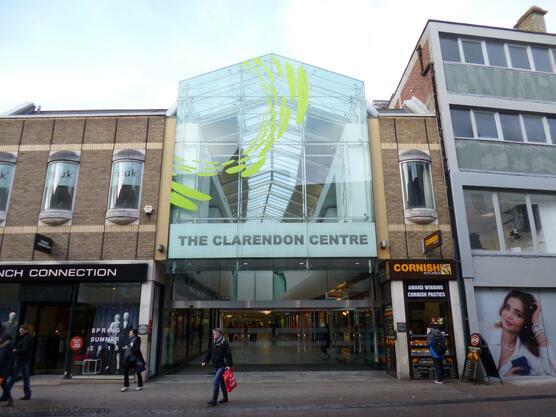 The other main shopping centre in Oxford is the Clarendon Centre, which is located off Cornmarket Street, just a stone’s throw from the new improved Westgate Oxford. The Clarendon Centre comprises of 28 units, with only one currently vacant. 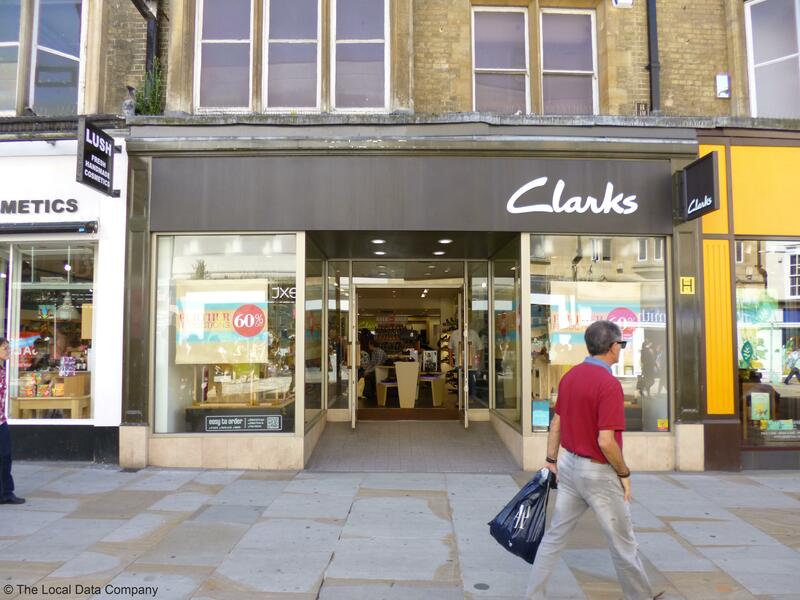 The Clarendon Centre houses brand such as Gap, H.Samuel, Claire’s and The Body Shop, with some of retailers also present over in the new Westgate such as Boost Juice Bars and Office Shoes. With the opening of the Westgate, brands currently leasing in the Clarendon Centre may be tempted to move across to the new, shiny scheme, and those who are currently present in both may or may not have plans to retract from the Clarendon, due to its close proximity to the Westgate. However, there may be space for both centres. The Westgate has already attracted more premium brands, whereas the Clarendon Centre’s offer is currently 100% mass market brands. As long as the Clarendon Centre maintains its differentiation in this regard, and offers shoppers access to the mass retailers, it has the potential to complement the new Westgate and to continue to thrive. Anyone who has been to Cornmarket Street on a sunny Saturday during the school holidays will know just how busy this street can be. 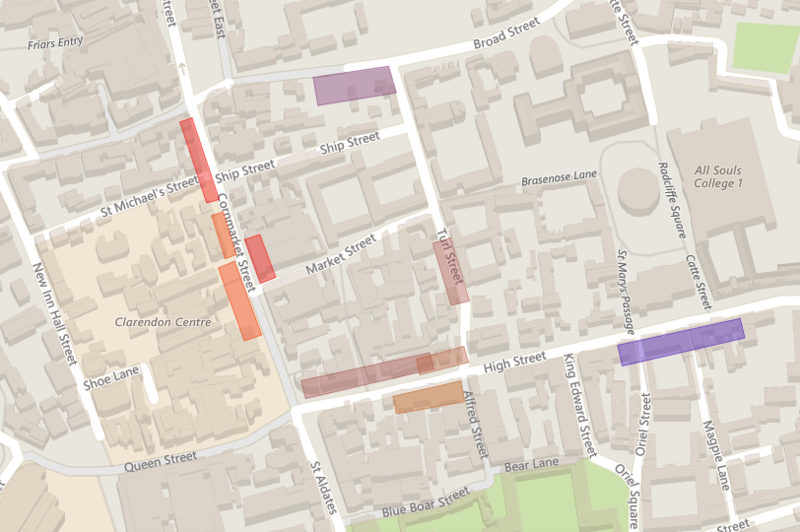 The LDC health Index of Cornmarket Street is currently at a super healthy 8 and for a town centre location has a vacancy rate of just 5.8% which is pretty impressive. Cornmarket Street runs right through the heart of the city and last week enjoyed a footfall count of approximately 476,000, with a peak of over 7,000 last Saturday 21st October from 1pm- 2pm. This is a number recorded on one of our 12 SmartStreetSensor devices that are installed across the city. Cornmarket Street currently enjoys a thriving economy that, thanks to a high student population and the attractiveness of Oxford as a tourist destination across the world, is similarly popular during the week as it is on a Saturday and a Sunday, as can be seen in Figure 2 below. You can also see that there are no obvious spikes in footfall, with a consistent flow from about 11am – 6pm every day. During the summer months, Cornmarket Street becomes more than a place for shopping, with street entertainers arriving to wow the crowds of tourists and people coming not just to shop, but to view the old buildings that some of these modern brands are housed in. It is for these reasons, that I don’t think the Cornmarket Street, or the neighbouring High Street will be negatively impacted by the arrival of the new Westgate either. As someone who has lived near Oxford for almost 30 years, I can only see positive things for the city with the arrival for the new Westgate Oxford. Oxford needs to stand up and be counted next to other local retail destinations, such as its neighbour Reading with the Oracle, or even 30 minutes down the road, the new (and ever expanding) Bicester Village. The refurbished Westgate Oxford has already attracted new, innovative brands that otherwise may not have considered opening in this historic and beautiful city. My hope is that going forwards, Oxford will not only be known for its University and manic cyclists, but also for providing an excellent retail experience all round, whether that be on the high streets, within the Clarendon Centre, or in the new and improved Westgate Oxford. I know I'll be keeping a close eye on what happens over the next few months. For more information on our SmartStreetSensor footfall devices, please follow this link. To find out more about Oxford, or another of the 3,000 retail destinations that LDC track, please get in touch at sales@localdatacompany.com.